The conditioning shampoo has very good cleansing properties and is easy to rinse. 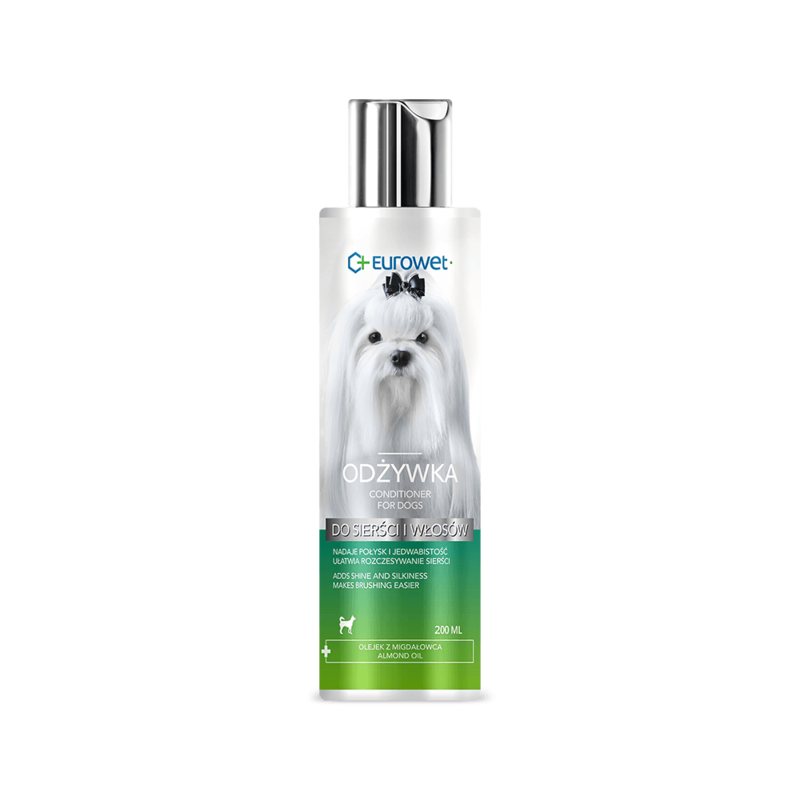 The jojoba oil contained in the shampoo makes the coat soft and shiny. Shake well before use. Wet the coat and skin thoroughly with warm water, pour on the shampoo, spread evenly (avoiding the eyes), massage in well and rinse. Repeat, leaving the shampoo on the coat and skin for several minutes. Rinse off with lukewarm water, dry and brush.